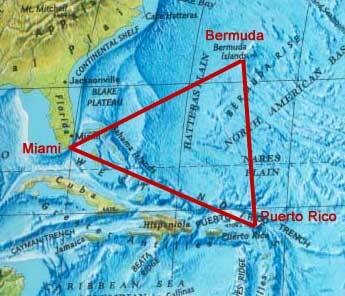 The Bermuda Triangle is the name given to an area of sea encompassed by Miami, Puerto Rico and Bermuda. It alleged that within this area there has been an inordinate loss of ships and aircraft. 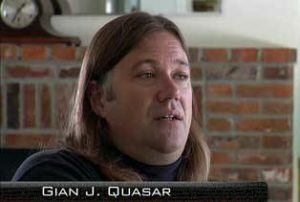 It is an issue that captured the attention of the ever present ‘batty brigade’, who linked the area with UFO’s, underwater crystals and, of course Atlantis. Much has been written about the subject, beyond the efforts of one or two authors, writers in the main, have offered very little original material, preferring to re-hash existing and sometimes rather dubious material. The writer most readily identified with the Bermuda Triangle is Charles Berlitz who gave us two books on the subject, in which he linked it with alien abductions,UFO’s and of course, Atlantis. Bill Hanson is also supporter of an Atlantis connection. More recently, a German historian, Dr. Michael Preisinger, has claimed to have mapped magnetic anomalies in the area, which have led some to conclude that they may be caused by micro-wormholes. Dr. Preisinger has suggested that there may be some connection between these anomalies and the fact that the U.S. Navy’s Atlantic Undersea Test and Evaluation Centre (AUTEC) are based in the area with a possible UFO connection. Before anyone jumps to the conclusion that Dr. Preisinger is just another attention seeking nut, it must be pointed out that he has offered as a rational explanation for many of the allegedly man-made stones of the “Bimini Wall” namely, the fact large quantities of ballast stones were jettisoned in the area during the American Civil war. Gavin Menzies made a similar suggestion but with a twist, in his book 1421, he speculated that the Chinese fleet suffered damage during a storm and landed at Bimini where they used their large square ballast stones to build an emergency drydock, the remains of which is now the Bimini Road! In December 2015, The Telegraph (UK) published a sober review(b) of the Bermuda Triangle story, in my view, effectively debunking it. A year later Norwegian scientists claimed(c) that underwater methane explosions were responsible for losses in the ‘Triangle’. Statistically, it would appear that the Bermuda Triangle is no more dangerous than anywhere else, a view borne out by the fact that insurance underwriters do not load premiums for travelling there. This view was highlighted in 2017 by Australian scientist Dr. Karl Kruszelnicki(g).